Sizing is very important when it comes to looking good in your clothes. It not only gives a better impression when you are well dressed, it also makes you more comfortable and more confident in how you look. 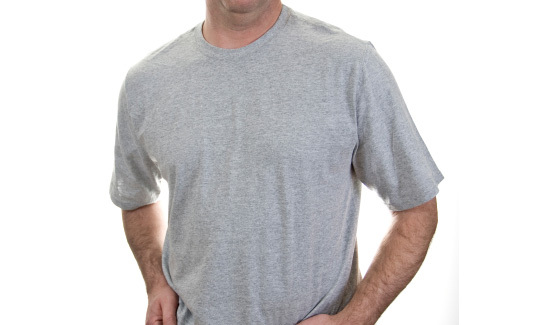 For a variety of reasons many people opt to wear T-shirts that are somewhat loose. They feel more at ease, less constricted and do not feel like they are showing off their body, flaws and all. However, it is very important to be able to tell if your T-shirt is actually too big, so you don’t look sloppy. If the shoulder seams, where the shoulder meets the sleeve of the T-shirt, are falling lower than just slightly off the edge of the shoulder, than the T-shirt is too big. If you see the seam midway between the shoulder and the elbow you know that you definitely need to find one smaller. This is a common problem when women opt to wear men’s or even unisex T-shirts and is one of the best arguments for women wearing only T-shirts that are designed with their shape in mind. If the T-shirt hangs very loosely, not even skimming the shape of the body and is long enough to be worn as a dress, you can definitely feel confident in saying that it is too big. Such T-shirts resemble small tents and are definitely not effective in covering up any perceived body flaws. They instead reinforce the impression that the person is not only overweight, but also sloppy. For those who are very thin, shirts that hang too loosely and too long also tend to make you look unkempt and even thinner than you actually are. If you can lift a T-shirt by the shoulder seems and move it back and forth, so that each time you stop it shows a different part of your bra, shoulder, upper back or chest, you definitely have one that is too big. A T-shirt that fits properly should sit in only one place when you put it on and should not be adjustable. If it is, you need to go at least one size down, if not more. ← How Can I Gradually Change My Style Without People Noticing Right Away?